So this is the last assignment in this project of People and Place. Its been a long haul and one at times I have found very challenging. Taking images of people in the city of Dubai can be difficult, due to the cultures and often very sensitive nature of the region, with different beliefs and views on cameras with regards when, where they should be pointed. First decide on a notional client. Choose the kind of client (newspaper, magazine, text book publisher, advertising agency, television graphics, etc. ), the purpose of the assignment (educational, informational, promotional) and how the images will be used (to illustrate a story, to sell a product etc). You choose. You then need to imagine what the basic brief would be, which will mean thinking from the other side of the fence — what someone commissioning a photographer might want. Write yourself the brief so that you can refer back to it. Having assigned yourself the brief, you now need to complete it. You need to submit between 8– 12 photographs. Accompany the final images with a short written assessment. • how well you succeeded, including the difficulties and opportunities you encountered that you had not anticipated at the outset. It took a while for me to decide what I could possible take images of to cover this topic, and while one of my first thoughts was to cover part of the old town of Dubai, I knew this would be a time consuming mission and based on my type of work I was concerned I would have trouble covering all the areas i would have included, and some of this would be purely negotiating the traffic so again this would limit me to weekends, and I don’t often get weekends off. As I was deciding what areas I could cover I came across an advert for the up and coming cycle event in Dubai called the ‘Tour of Dubai’. This consisted of the worlds top cycle riders covering parts of the emirates over a four day period. Based on this I know the challenge would be how to cover a broad area of the event that the so called client may ask of me, should I be a designated press photographer of sorts. Cover a wide area of the event, including behind the scenes. Include images of the top riders including the winners and leader. Include images of before, during and after the event on any given day. Capture images of at least one winner crossing the finish line. Colour and/or black and white images can be used. 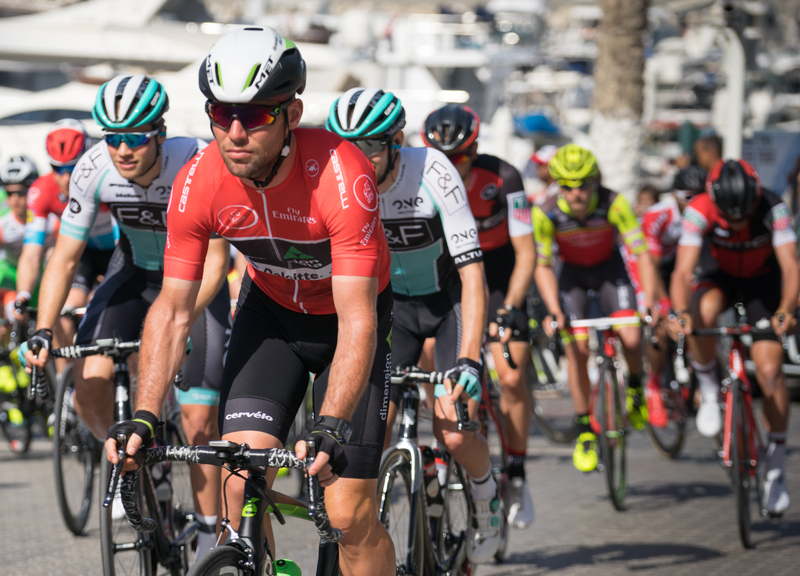 This years Tour of Dubai (2017) is a road cycling event that takes place in Dubai between 31 January and 4 February 2017. 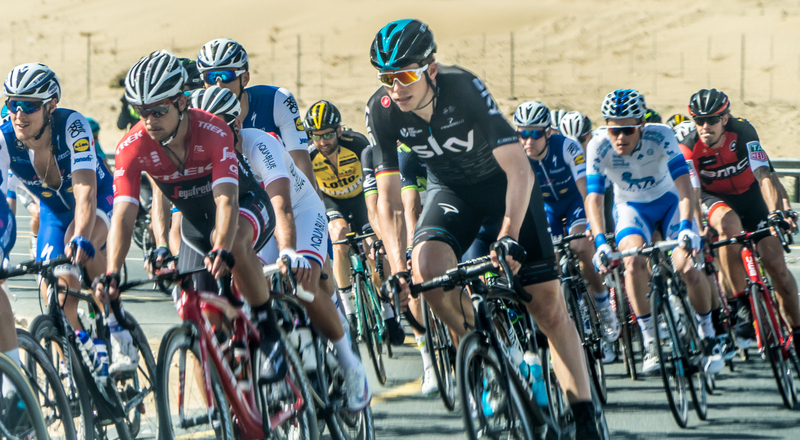 It is the fourth edition of the Dubai Tour and is rated as a 2107 UCI Asia Tour. A total of 16 teams would participate which includes a team from UAE, the hosting country. The very best of riders from around the world will be taking part, which big prize money on offer to the overall winner. This event would be hard to cover due to the various locations and the limited time I would have to cover the event. On the first day I went down to the start, which included all teams in preparation for day one of the five stages, each one totalling a distances from 109km to a full 200 km per day for stage 3. Based on my brief I was keen to get some images of work going on behind the scenes both from riders, spectators and mechanics. The event has a massive amount of ground support, along with local companies such as Audi cars, who supplied all vehicles for the event, and local bike riders who volunteer to act as camera support bikes, not to mention the large amount of the volunteer local supporters who help in road assistance, police and civil defence support. Being a helicopter pilot for the royal air wing and specialising in aerial camera filming, I also had a hand in arranging our aircraft for the live TV camera work, of which I personally flew myself filming this event two years ago, so I know first hand what goes on before and during the event from the organisation aspects. For this I intend to use my Sony A7KKi with either a medium focal zoom such as 28-75mm, or another more varied zoom I have which is a 28-250 zoom. This last option would give me more options for wide and long shots without the need to change lenses, and thus getting more opportunity to capture action shots. So before going onto my final selection of 8 to 12 images, lets take a look at the images I did not select, and a brief explanation with a few as to why I dint add into my final 12 images. 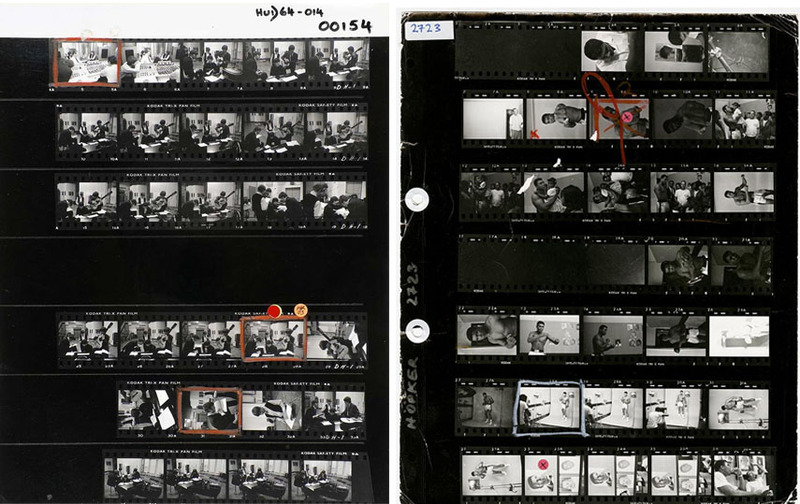 I am trying add these contact sheets at the suggestion of my tutor. Above are the first examples of some images I thought about entering, but left out for individual reasons. The image of the police cars shows some of the support offered for the race. Dubai being Dubai, only here do we have super sports cars as police cars. These cars were actually used on the race showing the lead throughout the course for each day, followed by police motorbikes, TV cameras etc. The support cars all have each individual bikes for each rider, and each car has their own team name for easy identification. I decided to use an image of someone working on a bike as a replacement. The close up of the bike shows the latest technology offered on the bikes, from electronic gearing with some even having bluetooth which requires no cables between front gear change levers and rear gears. The image of the riders placing the number tags on the shirts was replaced by another shot in the final set which shows a close up. According to my tutor I need to get closer at times…so I did. The next two shots show images while I followed the race in a support car, which someone organised for my from race protocol. These both looked the same and although they show action, I felt there was a little too much of the riders being covered by car doors, motorbikes etc. Finally the last two shots shows a rider getting fresh water, but due to the shutter speed he could have almost being standing still, and the last shot of the bike again show technology of what the latest bikes have to offer. For these images the first two shots show action, but I felt due to the lighting and distance from the riders they were a little weak photographically. The second shot is too far away with too much distraction in the foreground with the safety barrier. I wanted to show images of support from the crowds. And for the event there was a lot of support. People came from office blocks and houses to cheer the riders on. But one was taken from a fast moving car which was support for the riders, so it is a little blurred, the second was showing camera crew and organisers during the first day finish line, but I felt the image was all together too busy with not enough focus and lacking foreground elements. A light hearted look at the people and the professionals, with a quick selfie shot and the presentation area in the background. I actually like this shot but thought that with only 12 images to choose from, this one just didn’t quite make it, but I do like it. The next image shows the winner of the first day, Marcel Kittel, receiving his prize on the presentation stand. 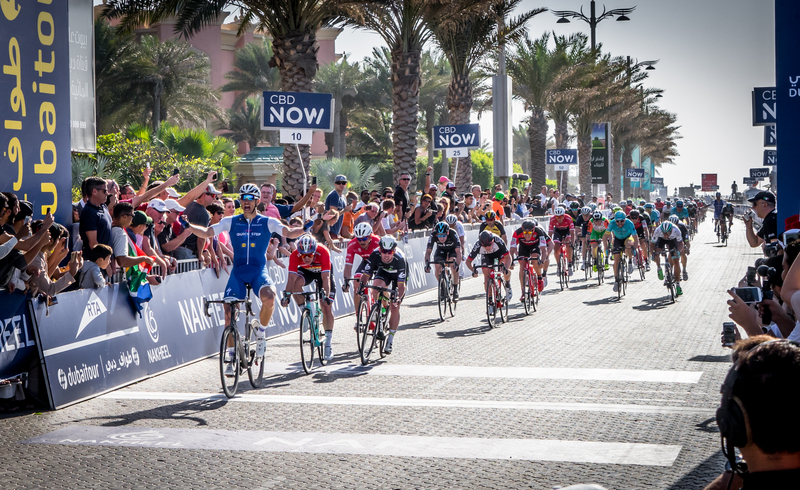 I felt it was a good enough image as it shows the people and surroundings, but felt it was a little too far away with Kittel being very small in the overall frame. The next to last image shows the post race brief. I know this but decided the image could be taken anywhere, and didn’t hold enough weight and was a little too static. Lastly the image of the two pro riders was going to be used as a mention to the sport, in that it cannot proceed and run without the help of all the sponsors. Many sponsorship names can be seen on the back of the shirts of all rider teams, but I decided to leave this one out mainly because of not seeing the faces of the riders. Another selfie shot, but this one was taken with what would turn out to be the overall winner, Marcel Kittel. This was taken during Kittel spending time at his sponsors vending area selling bikes and riding kit prior to the start. Next is Mark Cavendish, one of the strongest sprint riders in the world, and hails from Isle of Man. I didn’t use this image as I would have liked Mark to be wearing his helmet, and the background is too distracting. The event holds different prices with money within the event. Such prices and awards include sprint distance races, youngest rider, big of the mountain and others. These were the line up of this years shirts and each colour represents a certain award for the winner, and they are presented with the shirt at the end of each day, and the awards can move from rider to rider. Whoever wins can wear that coloured shirt the next day of racing. This was not used as it was not that interesting on its own and needed a rider wearing or being presented. A UK Tv presenter from a popular Youtube channel called GCN, interviews a rider before the race. Not a bad shot but the other selections are better i felt. The next two images on the bottom left show Mercel Kittel getting ready and adjusting his kit before the start of day 3, and another with him talking to Mark Cavendish on the start line. I like both images but again I had to decide on a final 12 and left these out. Lastly is a shot I was thinking of using of the two team riders talking pre race tactics, and the official of the start ready to drop the flag. Both not used for the feeling of better images available from the final selection of 400 plus images taken over the 2 days I was able to cover the event. Below is my final selection of 12 images for this assignment, or as it were for the client in respect to the brief I would have should I be doing this for a magazine, newspaper publication etc. I felt I could have submitted more than 12 images, as I feel with such a wide range of different shots possible a selection of 12 only may not be enough. Of course everyone would pick a separate set of 12 and the final choice would be the clients, and not mine. I would submit more than maybe 50 of the best shots and give the client time to choose the best 12 for whatever purpose they would see fit, based on the final choice of media it would go to. This is freestyle cyclist Vittorio Brumotti doing what he does best, world record holder in freestyle stunt bike riding. Just prior to the professional racers signing on for the race, Vittorio shows the crowd just behind me his amazing ability and stunts that can be performed on a road bike. In 2012 Vittorio Brumotti got the Guinness World Record for having climbed the Burj Khalifa in Dubai, on bicycles, in exactly 2 hours and 20 minutes. In the same year he was awarded the Prize to the voice against waste in the ninth edition of the Golden Leggio (ref: wiki). Here he gets the main presenter to lay down while jumping over him from a standing start, he then carry on the jump down off the stage which was about a 6 foot drop. A new addition to the pro circuit this years sees a team entered from Abu Dhabi, representing the UAE. The team will make its race debut at the People’s Choice Classic criterium on January 15 and then ride the Tour Down Under, which begins a couple of days later on January 17. 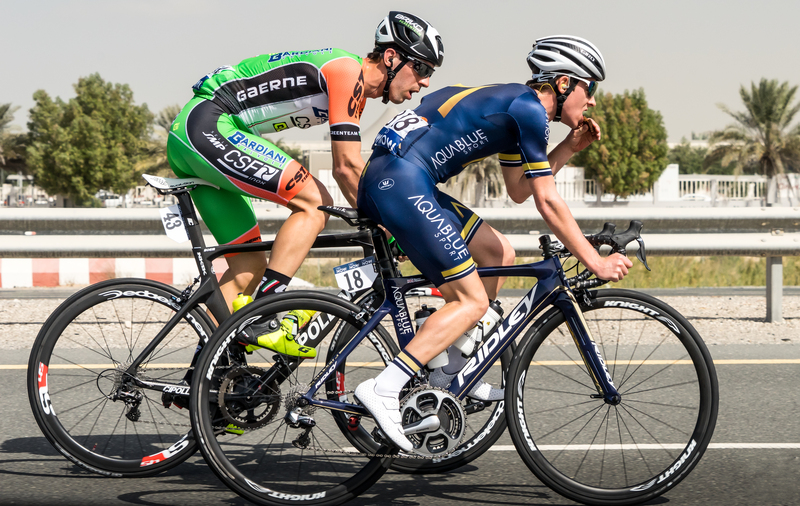 Britain’s Ben Swift will lead UAE Abu Dhabi along with Ulissi Meintjes. During the pre start of every race is a presentation of riders to the public, along with a signing of the officials board. On the right of the image the Tour of Dubai trophy can be seen, representing a modern shape of a wheel made in silver. 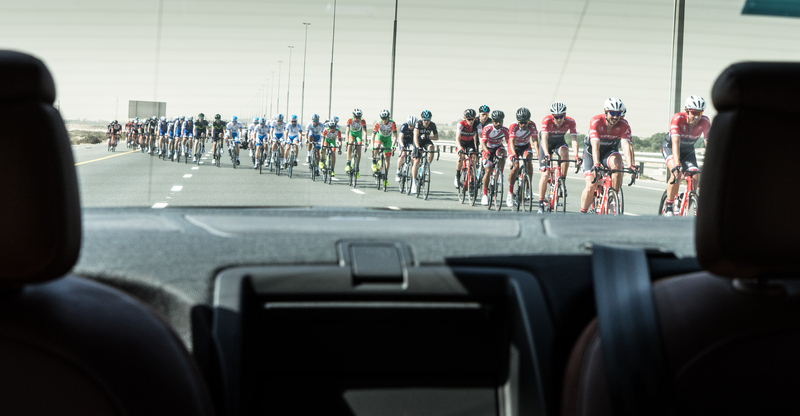 Preparation is a big part of any race event, and the Tour of Dubai is no different. Here we see one of the pro riders pinning his race number onto his shirt. They collect the race numbers just before the race and then put them on the shirt using safety pins. I always thought that this would be done in advance by some part of the support team, while the riders relax, but it seems all of this preparation is in the hands of each individual rider. At first I thought about submitting this image as a black and white, but decided to leave it in color as too much details seemed to be lost without colours. 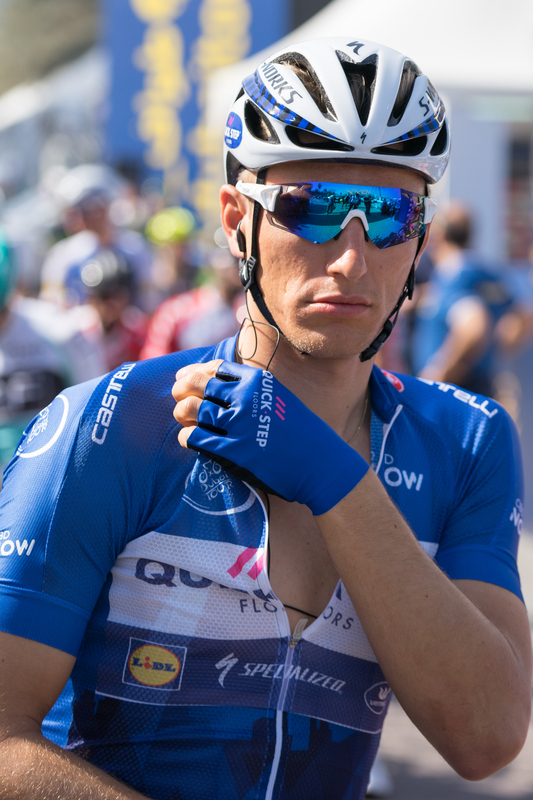 In the centre of the body we can see the heart rate monitor, which gives vital data to the rider and also to the support crew, which can help during the race and be analyzed afterwards with software. I thought hard about weather I should submit this image, but I wanted to include an image which depicts the bikes, as these are the major part of equipment that each rider uses. These bikes are state of the art technology and can cost in the region of 15000 pounds and above. I race ironman triathlons myself and I can appreciate the technology and design features that go into each bike. 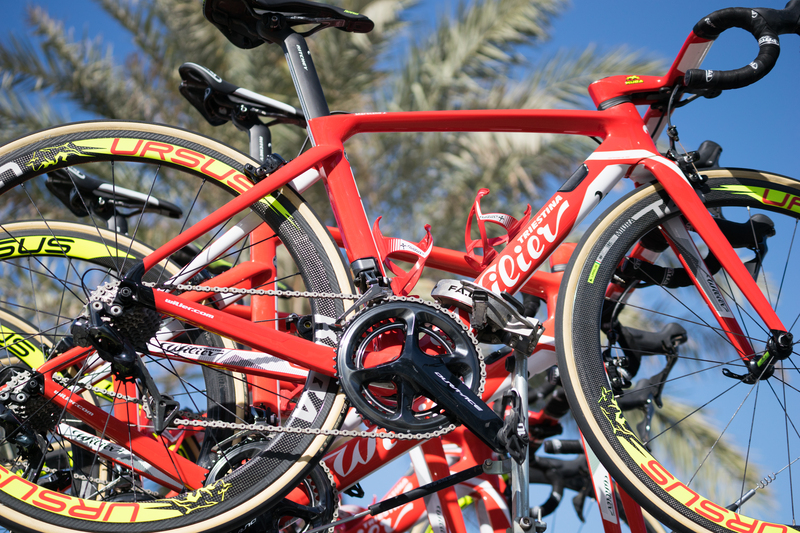 Here we see the supply, or support bikes on top of one of the team cars at the start, with the Dubai palms in the background. Should a bike fail during the race, the support cars are close at hand to each rider of the respective team, and bikes can be replaced in a matter of seconds, so not losing too much time on the race and being left behind the other riders. Support and maintenance of these expensive machines takes skill and understanding of the needs of each individual rider. 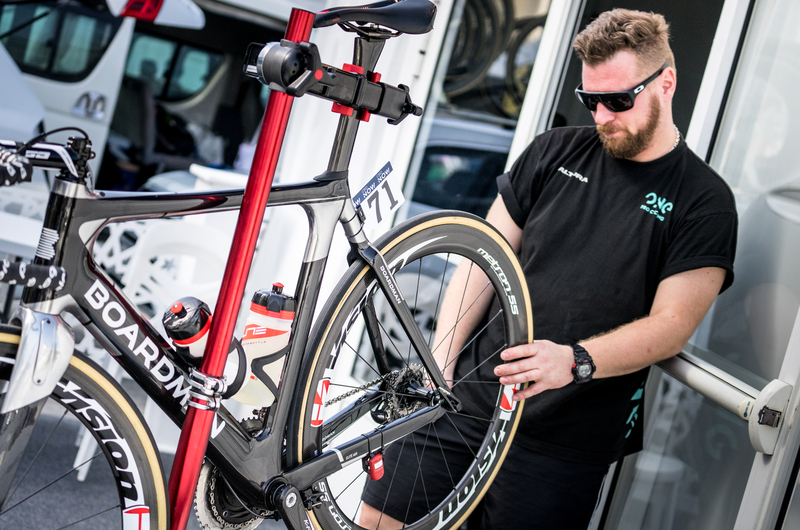 Each team has a number of mechanics who can take a bike apart, put it together and make the slightest adjustments to rider position, wheel choices based on type of riding conditions for the day, as well as daily maintenance and repair. Here we see one mechanic check the true spinning angle of the wheel to ensure nothing is left to chance that could cause a failure, and to ensure the bike runs at optimal speed and performance. State of the art carbons composite materials are used both on the wheel rims and the bike frame, and a set of wheels can cost over 3000 pounds for 1 set. Before the start of each race all the riders have the photo session and also need to sign the race board as proof of arrival. 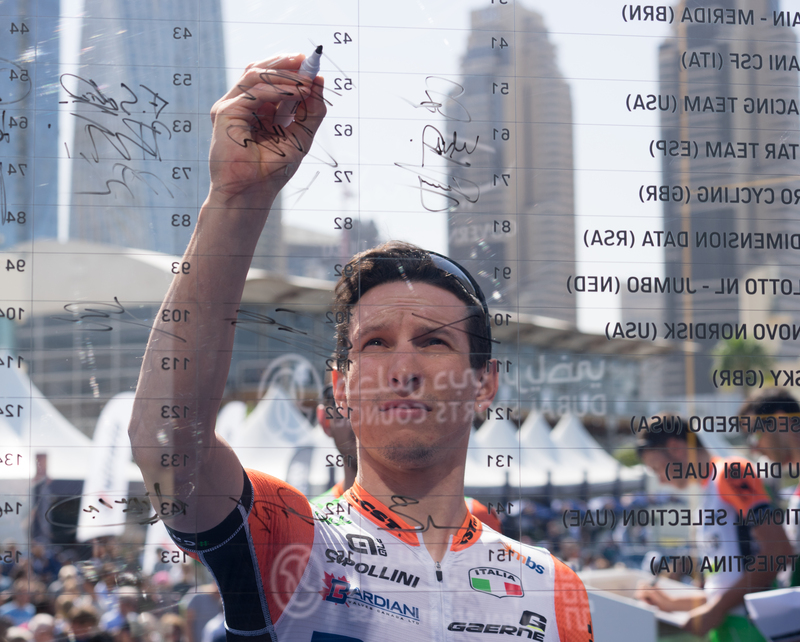 A rider cannot race without the signing of the official competitor board. Here a rider from Italy, number 45, steps up to the race board to make his mark. For this shot I was in an area closed to public art from official photographers. As I had contacts with race organizers, I managed to get behind the board during this signing process. The crowds can be seen behind watching the other riders arrive on stage which also requires the ‘signing in’ on an official book. While waiting during one of the race starts, I was up close to Marcel Kittel, who became the overall winner. Here we can see the focus in his face as he prepares his kit, and gets his radio mic set up inside his shirt. The riders have two way radio communication with the race team who follow in the support cars. Information can be relayed such as race stats, leaders, or if assistance if required for the rider. Here we can see the riders pushing hard up a hill section which goes through a marina area. In front is one of the strongest bikes sprinters in the world Mark Cavendish. Other teams follow close behind as the weaker riders try to catch up. This is a grueling sport and many riders may not finish the race. This could be because of the environmental conditions such as heat, strong winds or mechanical failure of the bike. Teams try to stick together and help one main strong rider based in each team to cross the finish line. This is done for a major part of the race by protecting the strong rider, such as here, then allowing the strong sprinter to cross the finish line. I was fortunate enough to get a ride in one of the support are on day one of the race. These cars follow the riders and assist in changing bike, flat tires etc during the race. The cars are also responsible for carrying the food which the riders require during the race which can normally last between 3-4 hours. Here not long after the start, we can see the riders all close together breaking through the pack of support cars. I happened to look back to catch this image which shows the riders close together in teams, and trying to gain an advantage by drafting, thus saving energy by protecting themselves behind the riders in front. This drafting technique is common in pro cycling. This action shot was shot in the desert area of Dubai, while the riders came around a fast corner. I was still traveling in the support car, but as the car stopped, I jumped out and ran across the road to get this shot. Although the images does not really show the speed, these ridders are approaching 40 kph. I left the shutter slightly low in order to try and capture some movement of the wheels and legs, giving a sense of speed. I was too far away to use fill flash. Due to the nature of the sport, the riders cannot stop during the race for any breaks such as food. Therefore the support cars will supply food, and the riders will also take small amounts of energy bars and water on the bikes and in shirt pockets. Here I was riding in the support car and I leaned across the driver to get this shot of these two riders in the chase, all the while still taking time out to get some energy into their bodies. Despite the high physical efforts needed to sustain 45-55kph its important to try and get replenishments into the body to carry on to the finish without the risk of running out of energy. This is what it all boils down to. Crossing the finish after over 3 hours of all out effort, and all the while being chased by approx. 100 other riders behind, all trying to cross the finish line for the grand price. 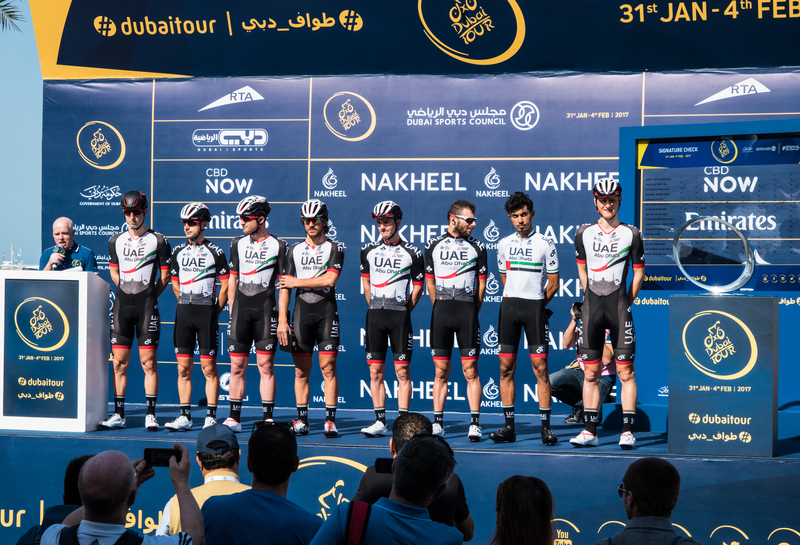 This was taken on day one, and this final sprint would take place for another four times indifferent locations across the UAE, and the final winer of the whole event would be based on the quickest time overall. Here Marcel Kittel crosses the line, and he does so again three times to take the overall winners trophy. Behind Kittel we can see the world strongest sprinter Mark Cavendish in the black kit trying the pass Kittel, only to be beaten by a few feet. Often the finish can be so close it would require a photo to decide the winner. I thought about making this image closer to the winner crossing the line, but I wanted to include the overall atmosphere of the fins inline which includes spectators, cameramen and the other riders fighting for the finish-line. State – How well you succeeded, including the difficulties and opportunities you encountered that you had not anticipated at the outset. My whole approach from the start was to try and include images giving a view and feel of both the main event, and behind the scenes. The sport of pro cycling is a team event and one which requires a mass of support for many areas. I have included both the riders, in profile and during race conditions, as well as the support crews who help make the riders reach the finish-line. The images submitted are also intended to try and show some of the characters of the sport, who are the best of the best, and the dedication and effort required to compete. I found the images hard to capture, as its a type of event you only get one chance to get. The riders travel at such speeds during the race that it is not only hard to get the image due to road closures etc, but due to the vast amount of kilometres the riders cover, once they pass your camera lens it could be too late to catch them up for other shots. One of the reasons for this is all public roads are closed for the riders so there is no way to overtake and stop on the side of a road and retake another shot. I was very lucky to get invited into a support car which was not planned, which allowed me to have multiple chances to get images of the riders. This also allowed me to travel ahead of the race pack at times and gets images such as the race finish, as the support cars are allowed to follow the riders on the same roads without issue. I have tried to cover a large cross section of the event, as the brief would have suggested, which includes images of the start, preparation, during and after the race, as well as what happens as part of race preparation that the public may not normally see. I would have liked to include more images but as the brief was for 8-12 images I have tried to cover the clients needs in all of the 12 images submitted. I found the use of having the camera switched on and ready to fire a great help, as an event like this would not allow a photographer to be turning the system on and off, as the image would simply be lost by the time the camera was ready to take a picture. Finally I am happy with the images and have included them in sequence to act as a sort of story or narrative, which takes me onto my next assignments, and to help the viewer see an event like pro cycling unfold from beginning to end. I received my tutor feedback a short while after completing assignment 4 ‘A Sense of Place’. I found the comments constructive, but at the same time a little lacking in encouragement. This is the forth feedback I have had with the same tutor and with other tutors I have had a lot of positive feedback, as well as constructive critique, but I feel too often on these 4 assignments I receive only what I am doing wrong, or what could be better. I rarely read what photos have been well taken and composed and why they are good, I only receive feedback on what images could be better. My location is Dubai, and in this country at times we are asked to take shots which can be a little sensitive in this region, then I am asked to get a little closer to the people and in certain circumstances I have been lucky even to get the shot at all. Even just pointing a camera at people in this area can be a big challenge and I wonder if sometimes in the feedback this is overlooked. I am asked to include a contact sheet of the images I decide to discard. In this particular report it is suggested to include all the images I took of some fisherman as an example. I took around 30 plus images in this case, and to include all these images I feel is a little overkill. I am asked to edit a particular picture with ropes across some Dhows which was one image I did not include, but Im not sure why I would spend the time and effort to edit a picture I have no intention of using. This can be very subjective but I submitted a contact sheet of what i thought was relative. I fully understand the purpose of a contact sheet so my thought process can be available, but I feel its not clear how the contact sheet is expected. When looking at other students work I see positive feedback and my work is no different in most cases, so it can be confusing what is expected at times. My tutor asked what I was trying to get across in tone particular image submitted. The answer is a broad section of what Dubai has to offer, and the type of varied people that live in Dubai. I could spend a whole year taking images of the vast variants in this city and I would still find more areas I could cover. One suggestion would be to limit my area and focus more on one aspect, this maybe true and could be another approach, but the assignment was submitted based on my feelings at the time and I cannot go back and do the whole assignment again. I will however add a comment on this image in question. Image 225 has a lamppost in the frame which is distracting, and I agree this is in need of a retake or PS removal. Image 226 of the large indoor aquarium needs to be closer. I can and will crop this to make it closer. In image 227 I am asked what I am trying to communicate, The answer is the broad spectrum of architecture, from the most expensive hotel in the world, the been landscaping and the waterways all bringing a landscape that in essence is built in the middle of a desert…I think its quite something. As a final note, I take all the comments from all tutors as help and constructive, but at times I feel it would be good to include what is a good photo and why, rather than just what could be better and why it falls short.